New Solar Technology – What’s Cutting Edge? Use of solar energy dates back to the 7th century B.C. Over the ages, the technology to harness the sun’s energy has evolved, but the world has never seen anything like the last decade. While not all of it makes it into the marketplace, each day sees hundreds of researchers trying to improve upon available solar technology. With every step, new solar technology is born that could make solar energy easier, cheaper and more efficient. Recent research has produced a solar film that can be industrially applied to windows – keeping them see-through but also making them energy -producing. This amazing new technology is based on nano-scale solar cells and organic synthesis. The details are fascinating: New solar window creates electricity on see-through glass. 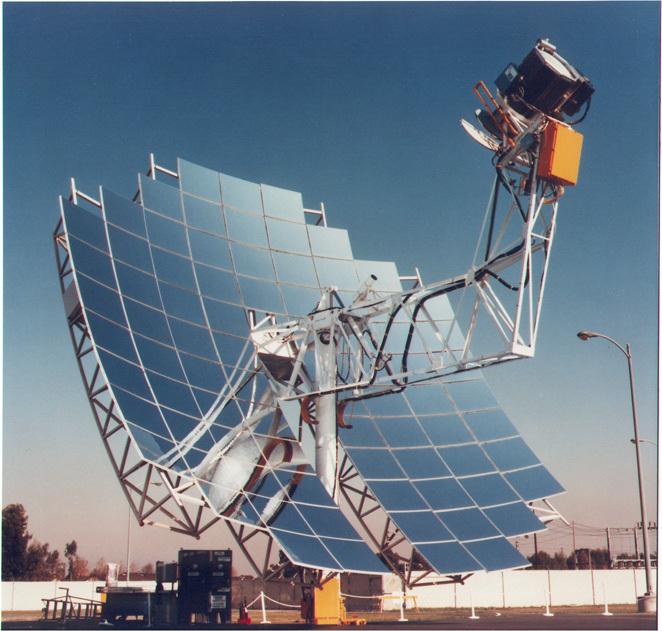 Using lenses and mirrors instead of photovoltaic cells is a major player in for large-scale solar systems. Such ‘concentrated solar power’ replaces the valuable silicon in photo cells with lenses and mirrors on a base of aluminium or glass. 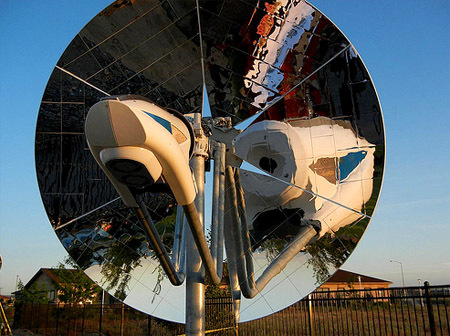 The lenses and mirrors trap a greater amount of solar energy using smaller panels, making it cost effective. See a video on concentrated solar power. The California institute of technology has developed a new solar technologymade almost entirely from plastic with a small amount of semiconductors. These cells capture 96% of the incident energy, among the highest ever. Each silicon wire is made like an independent solar cell. Together the assembly is a huge energy trap. Moreover, the solar cells are flexible in nature, simplifying manufacturing processes. Traditional solar cells focus on the light energy of the sun and perform poorly in elevated temperatures. Stanford engineers have come up with a new kind of solar cell that traps both the light and heat and converts it to electricity. The semiconductor material is coated with a film of caesium metal to achieve this conversion. The developers have speculated at least a 10% increase in the efficiency of photovoltaic cells with this technology. Solar3D has achieved a breakthrough by developing a new solar cell with energy-absorbing efficiency that has never been seen before. Working on existing semiconductor panels, the technology remodels the solar cell to create a special collector into which the solar energy is directed to prevent the usual reflection and reabsorption losses. With minimum additional costs, this technology is not just for laboratory research.